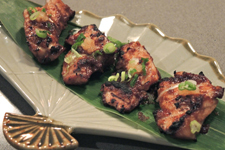 Miso mar­i­nat­ed tuna grilled and served with daikon, green onions and ponzu. 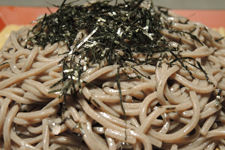 Cold soba noo­dles served with wasabi, assort­ed tem­pu­ra and a tentsuyu dip­ping broth. Pan-seared rib­eye steak with tra­di­tion­al teriya­ki sauce. 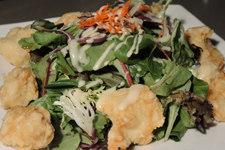 Sea­soned crispy chick­en with soy sesame miso dress­ing.